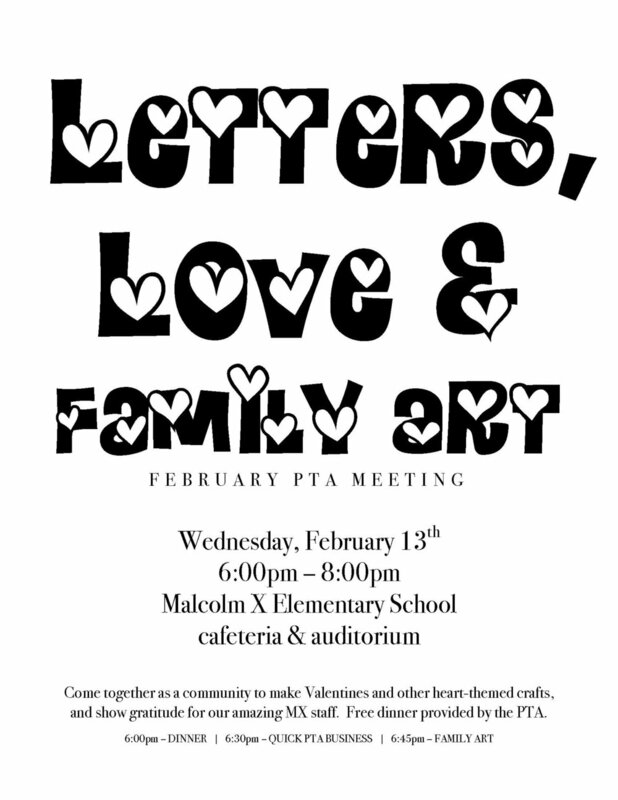 Please join us at the LETTERS, LOVE, & FAMILY ART PTA meeting on Wednesday, February 13th from 6:00pm-8:00pm in the cafeteria and auditorium. Come together as a community to make Valentines and other heart-themed crafts, and show gratitude for our amazing MX staff. All MX families are welcome! Free dinner provided by the PTA (beginning at 6:00pm and until we run out). We need volunteers! Can you help us out? Please see the sheet here and sign up for a shift! Also, we are seeking donations for the fun craft projects we have planned. Do you have any of the following that you can donate? Please bring them to the MX office and place them in the specially marked box. Gently used is, of course, ok! Thank you! We look forward to seeing you on the 13th.